I entirely agree and now you can fill the form online too! Do i need to fill online visa form for my 10 year old son separately or i can fill in the Minor details section in the form. Yes Tarun as far as I understand you need to fill a form for him too. https://extranet.immigration.go.th/voaonline/voaonline/VoaonlineAction.do this link is down. Do you have any other link ? As far as I know the online applications are not working at the moment! That was really very useful information. But now that you have published this post, there won’t be as many people filling up the forms at the arrival counter. I am sure gradually the advantage of filling the form online will go away! Mridula ji, Thanks for your informative post. That’s a detailed and interesting view. Thank you Chaitali. The process is easy too. Thank you Vinitha. I too love going back to Thailand. 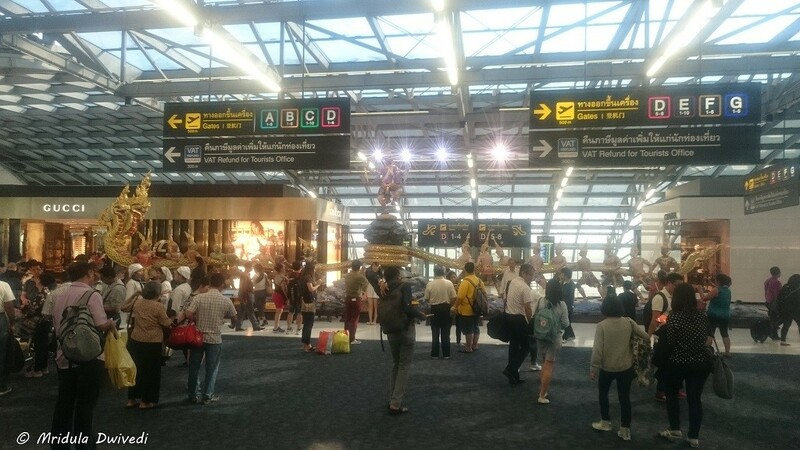 Mridula, thanks for the tips/info about the visa-on-arrival process at Bangkok. I have a small question for you (It’s been worrying me a lot) – So, I am travelling to Koh Samui next week (from Kolkata), and the time between my flights is approx. 95 minutes. Wanted to know from you if this should be sufficient time to complete the Visa formalities and also be able to get on the next flight (same airport, same airways – Thai) – And what should I do to ensure a speedy process? Thanks a ton in advance! Hi Ritesh I have two suggestions for you. One, fill the form online, have your photo and Thai baht ready. That would let you get ahead of the queue as most of the plane would still filling up the form. If you find that there is already a long queue at the normal visa counter, join the express line. You end up paying 200 baht more but it is worth it. That queue moves much faster. Both queues are next to each-other. Hope this helps. Hi Amit, it is not mandatory to fill the application online as far as I know. You can fill the same at the airport too. However, when you fill it at the airport everyone ends up in the long queue at the same time, if you fill it online and if you are lucky, you will beat the queue. Hope this helps a bit. Thanks for the timely update. CAN ANY ONE SEND COPY OF THE VISA ON ARRIVAL APPLICATION FORM. Gajesh you can download it from here. http://www.vfs-thailand.co.in/Delhi/pdf/visa_application_form_010914.pdf though do check for recency. I was trying to fill out online form but when i submitted to get the transaction number i got a blank page. I tried 2 more times one time with other browser but same problem. Did it happen to any of you guys? Not with me I have done the online thing twice last year and both time I was successful. I hope you have better luck on your next try. I hope it was sorted in the end? I hope it worked out in the end? Hi, going to Bangkok with family of 4 (2 small kids) and trying to apply for visa on arrival application form online but the link dont seem to be working. If I take a print out of the form and fill in the information, would that help if I move in to the express counter? Also, If I carry only 10000 Baht in total including visa fee will that be an issues? Most of my expenses are already paid for and I will use my credit card for rest of the expenses. Any advises and suggestions will be greatly appreciated. Thank you all in advance. I would be visiting Thailand from May 20th to May 24th, 2016. I will be travelling to Bangkok, Surathani and Koh Phangan; and have made my hotel bookings in these places. When I fill up the Visa form, which hotel should I put in the “Address in Thailand” field? Also, do I need to show all the travel bookings and hotel confirmations within Thailand at the VoA counter? I have an Indian passport and will be arriving from Muscat. Hi Abhi, Just fill in Bangkok hotel as your address and keep all the hotel bookings with you. They usually don’t ask but you never know, it is better to keep more documents with you! The express visa on arrival counter is closed now…Jan 2016.No knowledge of it now.Still long ques at the counter..Transit passengers should be cautious. I agree I just came back from Thailand and I also could not see the express counter! What saved me was online, they have a counter for online! No passport size photo required at the counter for online visa form ? A passport size picture is required. I just have 2 hours of layover at bangkok airport before i catch my flight to krabi..as its my first time to thailand, i dint realize while booking about the voa time 🙁 if i fill the form online, do you think i will be able to make it to my flight in time with immigration and all other stuff?? If you have a connecting domestic flight look for the domestic flight counters, they are visible from the same line. Leave the line, go to the counters and present your documents. You will be assisted. Hope this helps. I am going to thailand in November month trough Makemytrip we are 3 persons, i want to know that can from starting date of tour how much day before we can apply for VOA? And getting visa process is lengthy in india ? I have usually applied 3-4 days before without any problems. I have not tried earlier than that. How many days in advance you wish to apply. Remember to look for the VOA Online counter when you approach the queue. I want to ask you one more thing mam, that there 2 options for apply one is tourister & 2nd is travel agency because we are going through Makemytrip, so that condition which option have to choose for VOA option ? Imran I think you will still apply for tourist visa individually. Really interesting article, just have one query regarding My travel to Thailand, This is My first trip, hence any response will be much help. I am travelling from Bangalore to Phuket, with a connection flight in DMK airport. 1) Will I have to get the VOA done at DMK airport or final destination Phuket Airport? 2) If VOA is to be done at DMK is 1:30 hrs of time enough for getting it done. Also I am travelling Air Asia throughout. so guessing luggage will not be required to be checked out and rechecked in. Hi Prince, I have never landed at DMK so really sorry no idea. But I am sure you will get assistance. Look out for a counter that says domestic flights, they assist you if you have a connecting flight to catch. If possible come back and update us about your experience at DMK. Just needed to know if you can pay the 2000 Baht fee online, or has that to be paid at the VOA immigration counter in Bangkok? Many countries in the ASEAN region (Cambodia, for example) now allow you to pay the fee online and having done that, mail you the Visa online over the next 2-3 days. In the case of Thailand, it appears that it is not truly a Visa online, but allows you to send in your documentation so that you don’t have to fill in the form on arrival, which as you rightly point out, is still a major convenience and helps you to jump the killer queues. Btw, the increase of the VOA fee to 2000 Bahts, and the abolition of the express counter are both unfortunate developments. On my recent visit to Bangko in October, most people were unaware of the increase in fee and the abolition of the express visa counter. Look out for the online counter. That is one tiny window but saves you time. Also you need to print the form you filled. And you are right, you can’t pay the fee online. I heard about the increased fee though I have not traveled after the increase. How many days ahead of of your arrival did you fill the online voa form? Is there a certain rule on this regard as I am getting a blank page after entering the details. I filled it about one or two days before. Refresh or use another browser, it usually works. I have entered all the details as required after which i got a TRN No. with the Bar Code but when i clicked on the Print VOA Application Tab it took me to a blank page after which i took screenshots of the page, can i present the same to the immigration officer ? Also Thank you for your post on VOA Online, i have seen it has helped many hopelfully will help me to. Did you manage to print the form? I am not sure if they will accept the blank form. If possible do let me know how it went for you. I tired using Chrome and Firefox. on MTNL Mumbai and Relaince JIO. It is working fine right now at my end! what browser are you using. I just cant get it to open. the link on the immigration website doesnt work either,. i tried chrome, firefox on windows and mac. also safari. on two different ISP’s and still cant get it to open. I also tried vodafone on my phone. It doesnt open. Yes it throws the same error for me too, any help is much appreciated. I am using Chrome and I can easily enter the Immigration website. But I can’t access online form right now, only the PDF version. Did you guys tried clearing your cache? I agree Manish but I am told that the express line has started again on the VOA. Quite a helpful post. Hope the online application starts again. BTW I had a different query, since you travel Thailand so often, you would be the best person to advise. I hear one should be very careful about thefts in Thailand. How are things there esp in Bangkok, Phuket and Pattaya, do people get robbed? Is it advisable to carry expensive DSLR with you esp when you plan to snorkel and swim? Please advise. I have carried my SLR extensively but when I am able to keep it with me. I am not sure I will like to leave it by the sea and go snorkel unless I am in a group and someone watching over the stuff. But that is something I will do anywhere in the world. And as far as mishaps go I know someone who lost his entire camera gear in Sweden! My phone was pick pocketed in London (but returned as someone saw it and got it back). Being careful pays. The online VOA is definitely down, am departing BKK tomorrow and shall keep you posted about the express visa line. Thank you Manish, will wait to hear back from you! Is the Express line back on? The express line is not active yet, however i had a very bitter experience this time. I work for a travel company and was travelling along with a group of 30 Pax as a Tour Manager, out of which 28 pax had pre visa stamped(due to a limited period offer Thai visa fee was waived off for visa pre stamped) and 2 were to pass through visa on arrival(visa fee THB 1000). The Visa on arrival had absolutely no issues, but the pre stamped visa had a long queue and our group was asked to stepped aside from the queue and prove $500 per person to get through the immigration. Our group was part of an incentive trip sponsored by a company and i tried to explain it to the visa officers but they was rude and arrogant to even hear me out and finally they deported 2 pax from my group since they did not have enough cash or either of credit/debit card with them. In my entire travel career this is the first time i had such an experience with Thai immigration officers. Manish I am truly sorry to hear that! Deportation would be a nightmare! It worked when I wrote the post. If you see the first line of this post which is an update, it says the link is down. I am not sure if the online form is working. I think the fee is 1000 baht per person and they accept only Baht. I will be travelling to Thailand from 22nd July to 27th July 2017. I have booked flights and accommodation. I am trying to use online visa on arrival service at https://extranet.immigration.go.th/voaonline/voaonline/VoaonlineAction.do The link is not working and I tried calling Thai embassy in Delhi at 01149774100 but no one is answering the call. I have left a voicemail but I am not sure if I will get a call back. Please suggest. I hope your trip went well. I guess you would have gone for visa on arrival? Can i extend visa on arrival . As all my trips were of short duration and fixed departures, I have no idea about this. As to the best of my knowledge the online application process not working at the moment! Hi Mridula: at the outset, thank you for the useful information re the VOA process. Second, and by way of an update for all the readers, the online application process is up and running now : I just utilized the website to edit my form. Thanks a ton for letting me know. I have updated the post accordingly. Happy traveling! And i feel this this application just save some time for filling the application by hand, or do you think it really good more than filling from there? It saves time in two ways. While the plane load is filling form you go ahead. At times there are dedicated counters for online forms. Those used to be really short lines. Either way you save time. Yes Manju I agree it is easier with online application! Hi there …we are a group travelling to Thailand … we are planning to do Vietnam and Cambodia so it requires three entry and exits in Thailand. Are you aware if it is possible to get multi entry visa through online application? Alternatively we will get visa on arrival each time …how much is the time delay at the airport approximately for this process. Hi, I don’t think multiple entry is possible via online application. It is possible to take visa on arrival every time you enter. The fee is 2000 baht. Check if you can get multiple entry by applying in India. If you pay 200 baht extra you can go to a fast line if the line at VOA is too long. It depends on the time of the day too, early morning usually I have seen long queues. 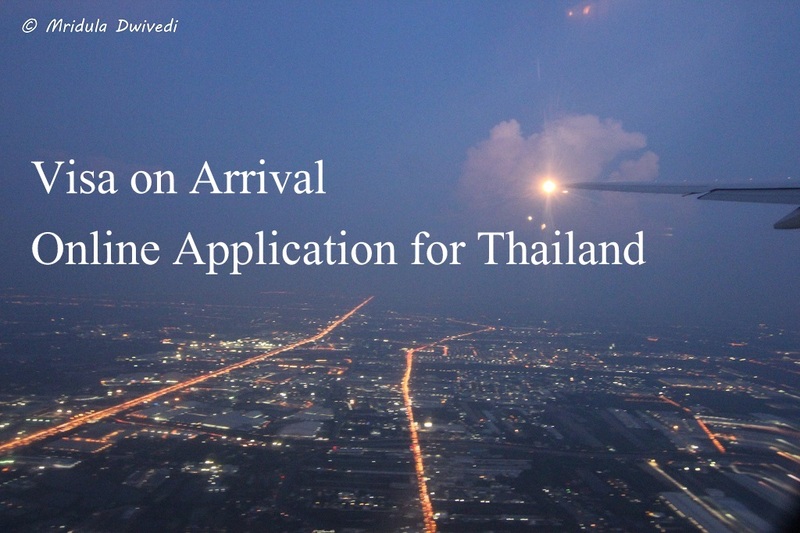 Only passengers arriving in Thailand via “Suvarnabhumi Airport” can apply for the Online Visa on Arrival prior to arrival in Thailand. So of you are landing in Phuket first, then you can’t use online option as of now, the arrival airport option is grayed out with pre-filled entry as “Suvarnabhumi”. Thank you for sharing this Nikhil! I wanted to know as to what is to be mentioned in the form where they ask the name and address of a reference in VOA form. I have booking in a hotel and can give address of the hotel only. Yes you can do that! Me and my husband are planning to visit Thailand in the month of February. Can we apply for VOA process? 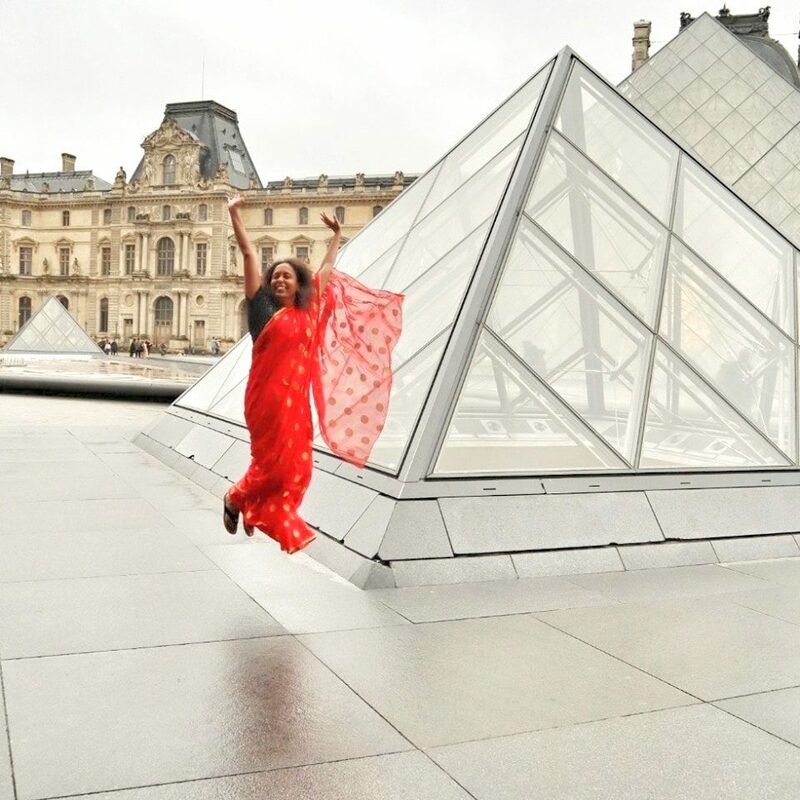 Hi Kanika, if you are landing at Suvanrabhumi you can avail VOA online. Wishing you a great trip! Thanks for the helpful post. I already filled the online VOA form. Will be going to Thailand next week! Where can I find the picture requirements for Thai Visa On Arrival? And where did you exchange for Thai Baht currency? A normal passport size picture will do for Thailand. If you are landing at Surarnabhumi there is money exchange before Visa on Arrival counter! am sandeep. am going thailand from macau to don mueing airport. can i apply for voi application online?.can we go with apply voi form online? . Hi Sandeep, I have never landed at Don Mueang but VOA is available on Don Mueang as far as I know. I printed the form and it says VIsa CHarge THB 2000 per person. What’s the matter with that? No idea, maybe the form is just not updated? Thanks so much Mridula for the excellent tips. After reading your easy to apply tips, i am going online right away. 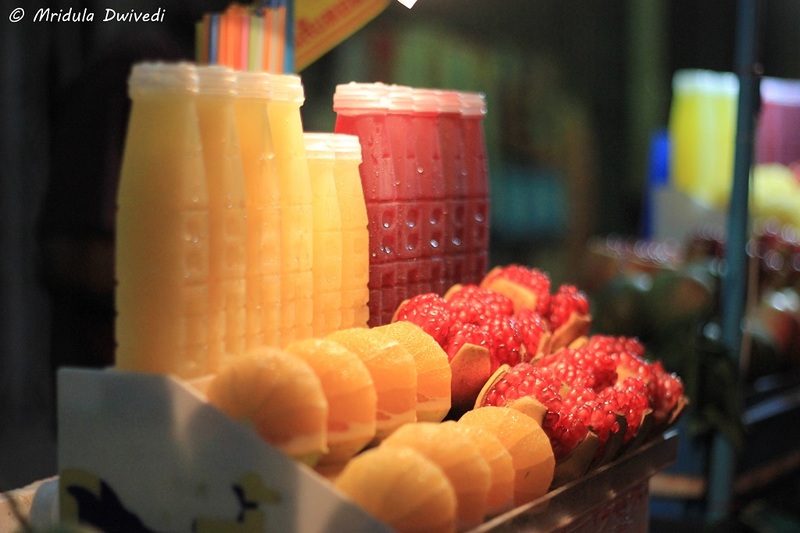 Your tips removes all worries for any traveller to Thailand. Appreciated. Happy to hear that this post is of help to you! How to fill up the form online ? As far as I understand only Suvarnabhumi has the online option! You can fill a form beforehand so that it saves time with the queue!